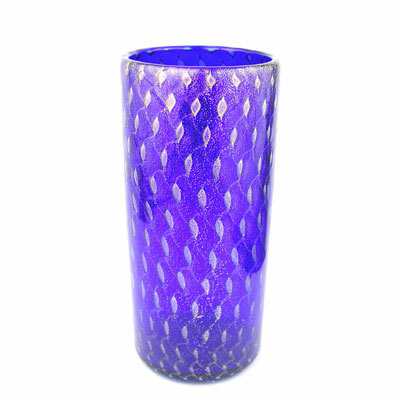 A Murano Glass Vase featuring our popular Lapis Drops style in a 9 inch tall cyclindrical form. Dimensions: H: 9 inches, D: 4 inches, Wt. : 2 lbs.